Uber is already testing some self-driving cars in the US, and now, a new report has indicated that it is also planning to develop bikes and scooters of the same kind. It has even started hiring for the new program under a division called 'Micromobility Robotics'. at a robotics event last weekend. The company didn't reveal exact details of the project, but 3D Robotics CEO Chris Anderson confirmed that the division would be part of Uber's JUMP group, which operates shared electric bikes and scooters. As of now, riders leave their bikes/scooters at the destination, where JUMP-hired contractors go and pick-up the vehicle for charging and repairs. However, when the same vehicles would be self-driven they could go to the charging point or to the customer's location on their own. As a result, third-party contractors will not be needed and Uber will be able to operate a fleet of self-driving bikes and scooters, ready to be deployed to any point, at a much less cost. 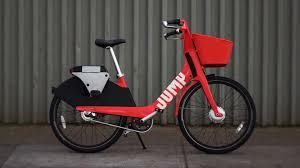 Notably, the company would also be able to re-deploy the vehicles in less time, thanks to the recently unveiled swappable battery capabilities on the next-gen JUMP bikes.